Beginning In 2017, April NASCAR Sprint Cup Series Race Will Be Branded O’Reilly Auto Parts 500. FORT WORTH, Texas (May 16 , 2016) – O’Reilly Auto Parts and Texas Motor Speedway have signed a multi-year agreement for the national automotive aftermarket retailing leader to serve as the race entitlement sponsor for the annual April NASCAR Sprint Cup Series race at the world-renowned motorsports facility beginning in 2017. O’Reilly Auto Parts will be linking its brand to the state’s best-attended, single-day sporting event and the Sprint Cup Series’ third-highest paying race in the newly named O’Reilly Auto Parts 500 that will be held Sunday, April 9, 2017. The O’Reilly Auto Parts 500 will be the signature race entitlement of the deal, but the company also will continue its title sponsorship of the annual November XFINITY Series race at Texas Motor Speedway to ensure a year-round presence in a top-five metropolitan market. The current O’Reilly Auto Parts Challenge XFINITY Series race that is part of a NASCAR tripleheader in November will be rebranded the O’Reilly Auto Parts 300 beginning in 2017. The O’Reilly Auto Parts 300 XFINITY Series race is scheduled for Nov. 4, 2017. In addition to the traditional branding assets in race entitlement agreements, O’Reilly Auto Parts will continue as the “Official Auto Parts Supplier of Texas Motor Speedway” and own exclusive status in the auto parts store category. No financial terms or specific length of the contract were disclosed. The agreement is O’Reilly Auto Parts’ initial race sponsorship venture on the Sprint Cup Series level at Texas Motor Speedway, but the publicly traded Fortune 500 company boasts an expansive NASCAR race entitlement portfolio at this venue. 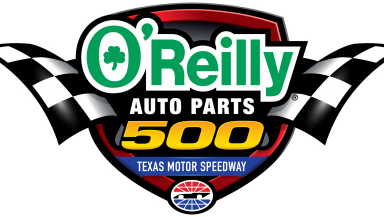 Beginning with the O’Reilly 300 NASCAR Camping World Truck Series race in the fall of 1999, O’Reilly Auto Parts has been the title sponsor of six truck series races (1999-2004) and 27 XFINITY Series races (2002 through ’16 season) at Texas Motor Speedway. That total includes sponsoring both the spring and fall XFINITY Series races annually since 2005 when Texas Motor Speedway added an annual fall NASCAR national series weekend. Under the new agreement, O’Reilly Auto Parts will relinquish its entitlement of the spring XFINITY Series race. The multi-year deal includes an expansive, multi-pronged promotional plan for the Sprint Cup Series race in O’Reilly Auto Parts’ largest metropolitan market. The Springfield, Missouri-based company has more than 150 stores in the Dallas/Fort Worth Designated Market Area among its 4,600 in 44 states. O’Reilly Auto Parts and Texas Motor Speedway will be working in close cooperation to build this NASCAR race on a local, regional and national basis, engage race fans, increase attendance and attract race fans to its stores for all of their automotive needs. About O’Reilly Auto Parts: O’Reilly Automotive, Inc. was founded in 1957 by the O’Reilly family and is one of the largest specialty retailers of automotive aftermarket parts, tools, supplies, equipment and accessories in the United States, serving both the do-it-yourself and professional service provider markets. Visit the Company’s website at www.oreillyauto.com for additional information about O’Reilly, including access to online shopping and current promotions, store locations, hours and services, employment opportunities and other programs. As of March 31, 2016, the Company operated 4,623 stores in 44 states. About Texas Motor Speedway: With a crowd capacity in excess of 190,000, Texas Motor Speedway is among the largest sports stadiums in the United States and features an array of amenities, including the world’s largest TV, that make it one of the premier venues in the world of sports. Known as “The Great American Speedway!,” the 1.5-mile superspeedway located in Fort Worth plays host to two races in the NASCAR Sprint Cup Series, XFINITY Series and Camping World Truck Series as well as one in the Verizon IndyCar Series. The attendances for the NASCAR Sprint Cup events since the facility opened in 1997 annually rank among the nation’s largest sporting events and also are the largest-attended, single-day sporting events in Texas. Since opening, Texas Motor Speedway has had an annual economic impact of approximately $300 million to the North Texas region. Texas Motor Speedway is owned and operated by Speedway Motorsports, Inc., a publicly traded company that is a leading marketer and promoter of motorsports entertainment in the United States. For more information, please visit www.texasmotorspeedway.com.